Lyon County League Tournament Director Ted Vannocker honored Coach Mike Hevel for his years of service in the LCL. 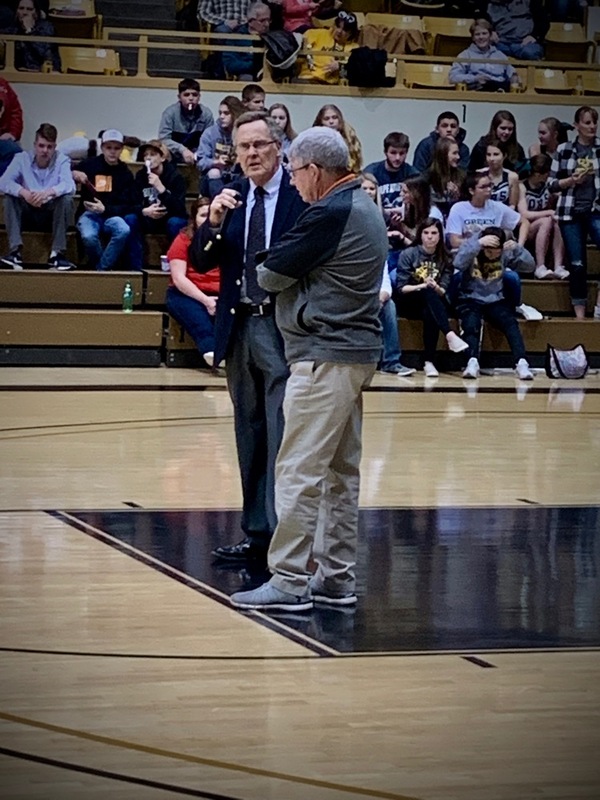 Mr. Vannocker presented Coach Hevel with a " THE Coach" tee shirt and a gift certificate for a rocking chair to use in his retirement! Coach Hevel told the crowd what a privilege it has been to coach all the athletes and thanked the fans for their support of their teams and the LCL!